Toomey & Co. Auctioneers is a specialty auction house, considered one of the premiere auction houses in the country to sell 20th Century Art & Design since 1987. We hold 4-6 carefully curated auctions a year that include Paintings, Prints, Drawings and Sculpture from the 20th and 21st Century, works from the Arts & Crafts movement, Art Nouveau and Art Deco Periods and Mid-Century Modern Design. In addition to our focus on Modern and Contemporary Art & Design we handle works from a variety of periods and are interested in taking in consignments that range from single items to entire collections. Our 2016 and 2017 schedules both included additional single owner auctions dedicated to works from the Estate of Candice B. Groot and the Estate of Joan and Milton Baxt. In December 2018, Toomey & Co. Auctioneers held the inaugural Tradition & Innovation auction of important works from the 19th century through today. This auction offered works across a variety of artistic movements and media by painters, furniture makers, designers, ceramicists, silversmiths, sculptors and architects who have helped define the world of art and design for more than a century. This highly successful sale will become an annual event. 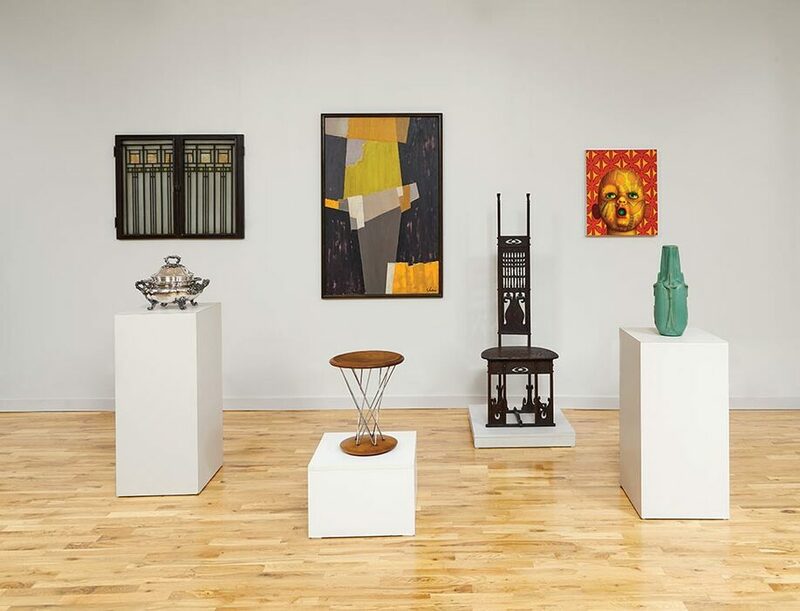 Toomey & Co. Auctioneers is located in suburban Oak Park just outside of Chicago and is surrounded by a vibrant arts community including Prairie School architecture by such prominent artists as Frank Lloyd Wright, William Eugene Drummond, and and Marion Mahony Griffin.